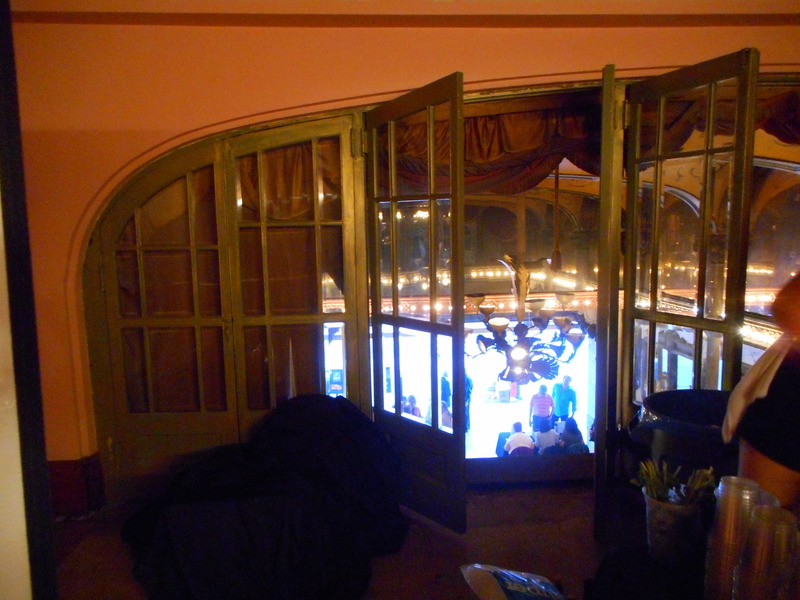 I went to a Last Remaining Seats that was held at the oldest surviving Orpheum Theater in the United States. It’s the one in Los Angeles. Here it is on a postcard that I bought. 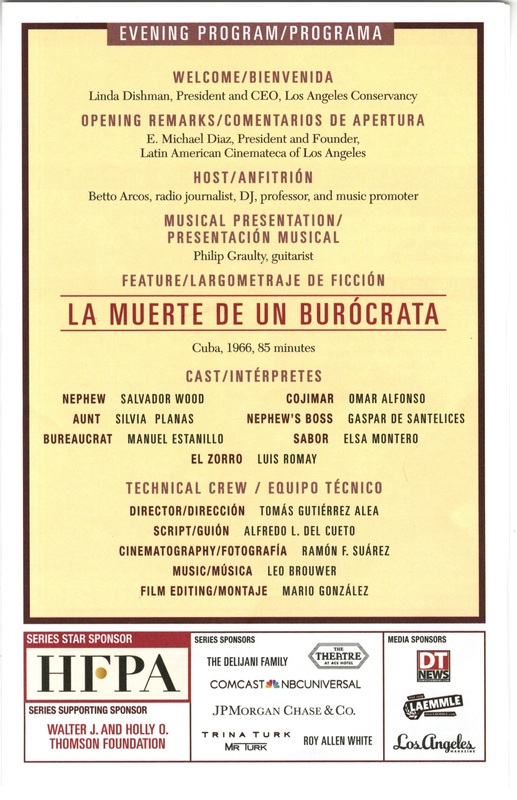 The movie being show for this event was La Muerte de un Burocrata. 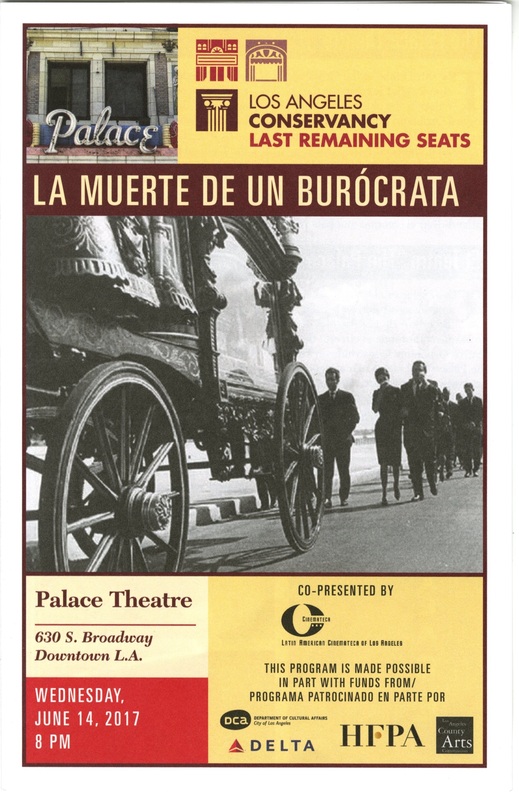 It’s a Cuban film from 1965. Here’s the program for the event. 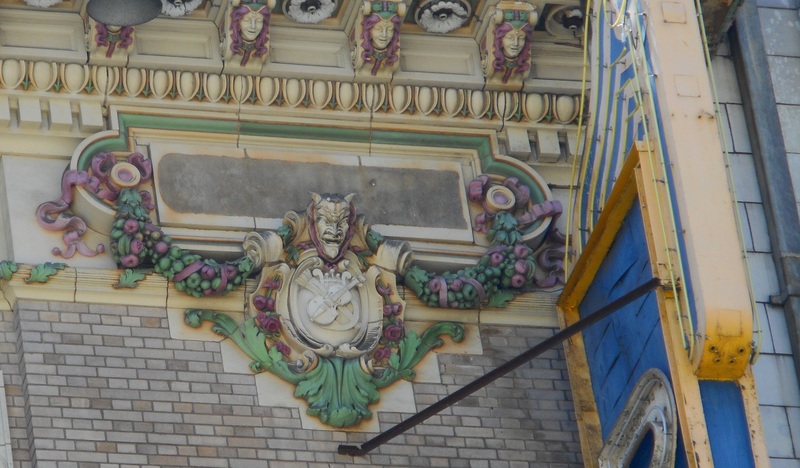 Some background information on the Orpheum. I really liked the host Betto Arcos. He was very cool and LATINO! He had a manly style about him that made me envious. Linda Dishman, who did the welcome, is hugely responsible for saving St. Vibiana’s (along with Kathryn Welch Howe) so she’s high up on my list of people to admire. Philip Graulty was a nice performer. Here are some pictures I took that night. 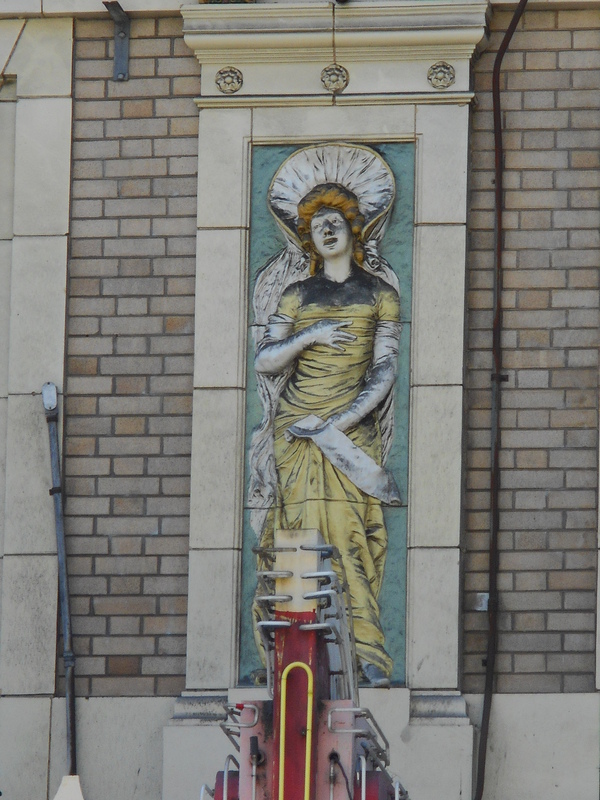 I’m amazed this stenciling wasn’t whitewashed over years ago. If you look at the archival photos (way down below) this is where the boxes were. 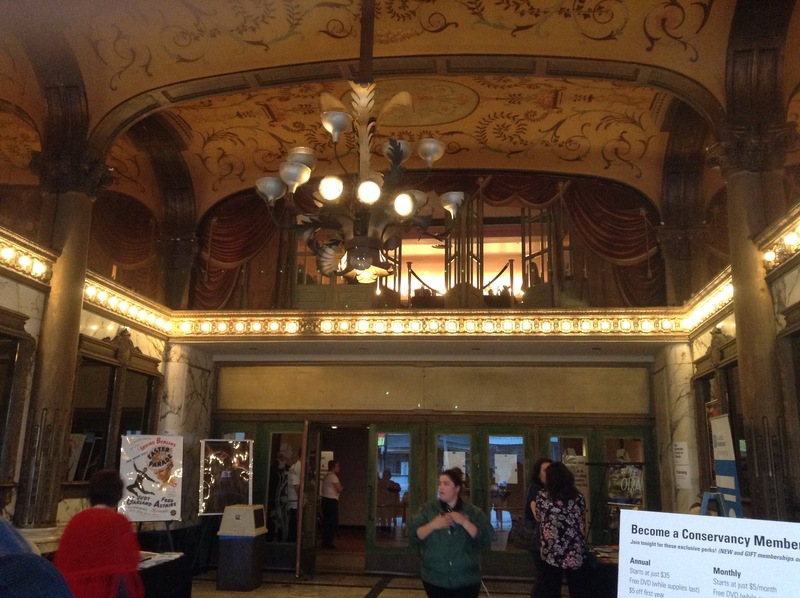 This theater was originally a vaudeville house. 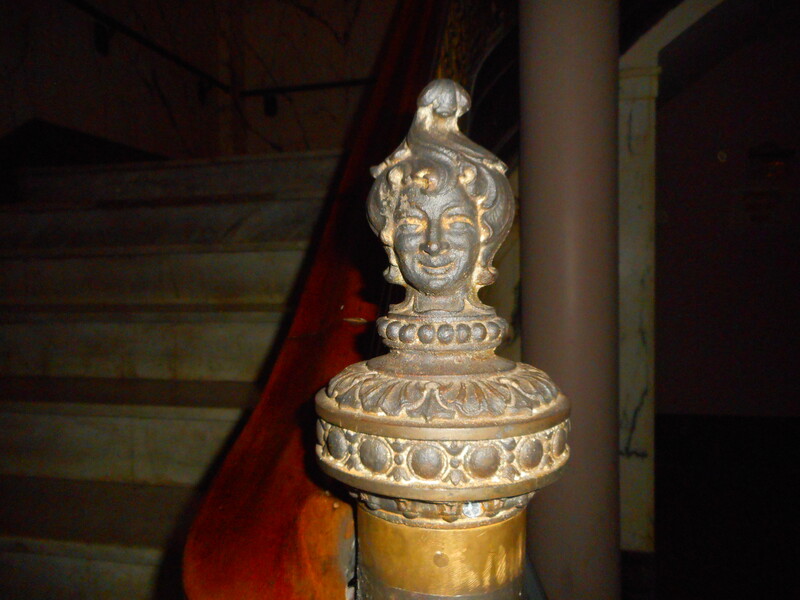 The newel post on the north staircase. She needs to be re-bronzed. If you look at the archival photos you’ll see that this is where the ladies parlor was. The area was being used to sell beverages at the event. I went back a couple of days later and took these pictures. The word Orpheum has been cemented over. Why? What was the point? 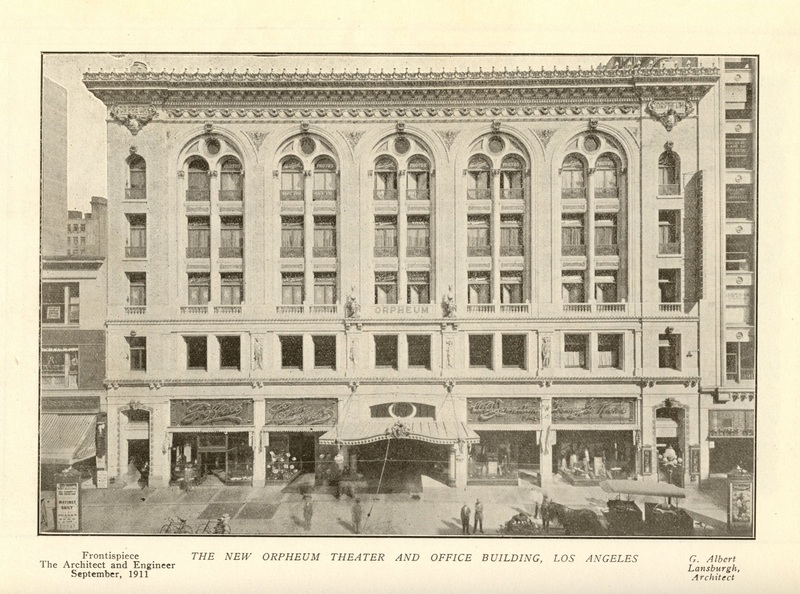 The Los Angeles Times announced that a new Orpheum building would be erected on Broadway, between 6th street and 7th, on January 2, 1910. The article contained three headlines. The first said: One of the Finest. 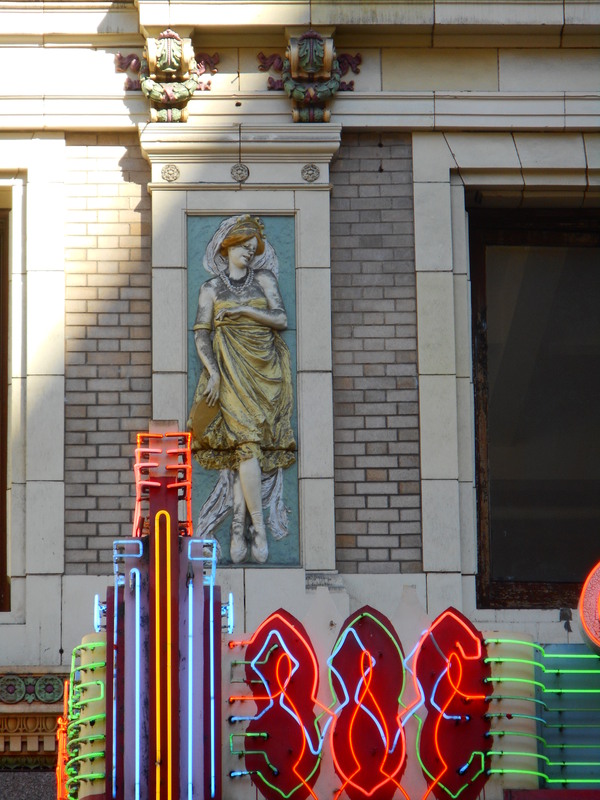 The second headline, which was the biggest, said: To Begin New Orpheum Soon and the third said: Circuit to Build Handsome Theater on Broadway. The article mentions that work would commence immediately and the building would be finished and occupied within the year. That didn’t happen because the grand opening of the Orpheum didn’t occur until June 26, 1911, which translates into approximately eighteen months. 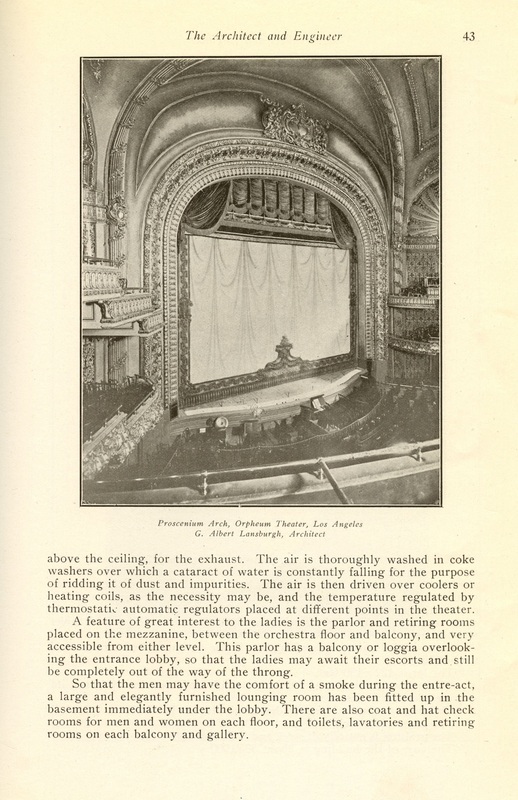 The article also states that the building would employ all the latest techniques in theater building. 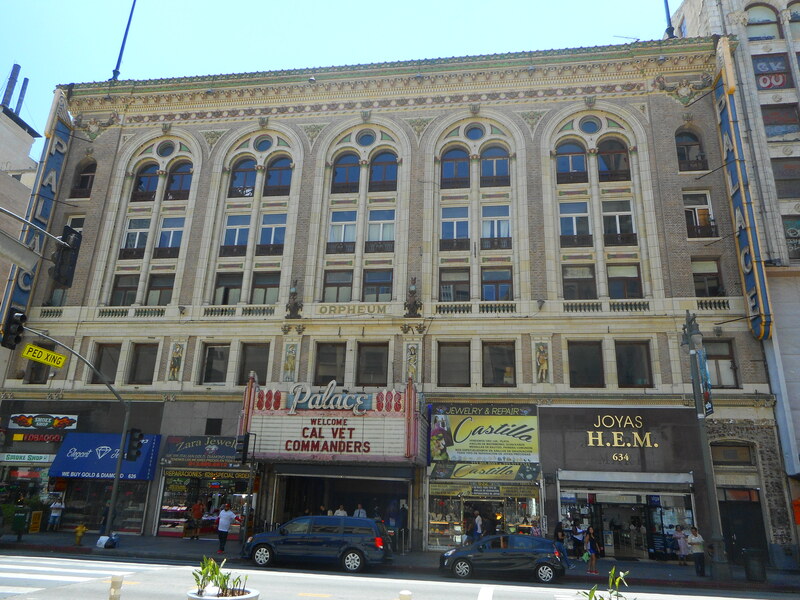 The Orpheum management took out a fifty year lease on the property. 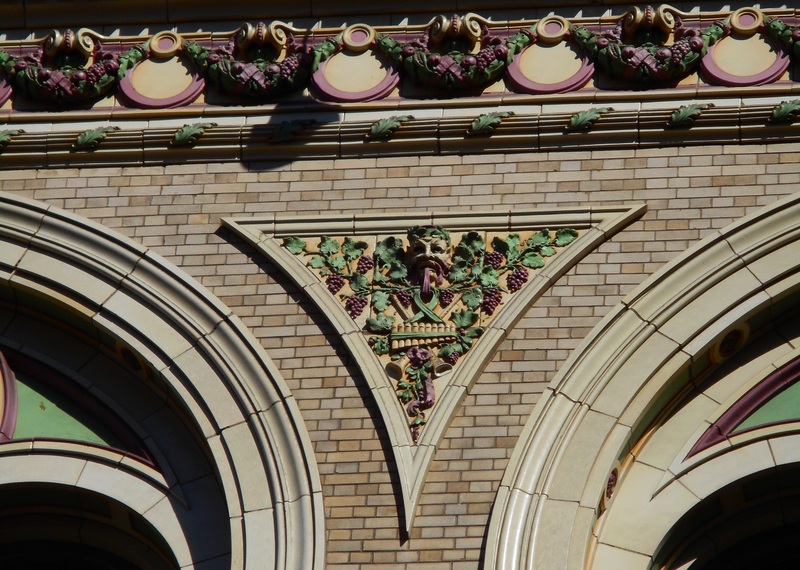 The owners of the building were: N. Bonfilio, L. J. Christopher, John R. Hayes and Harry Chandler. The original cost was estimated to be $250,000 but that amount would increase to $350,000 by the time the building opened. In this article it states the building, “has been designed by and will be put up under the supervision of R. B. 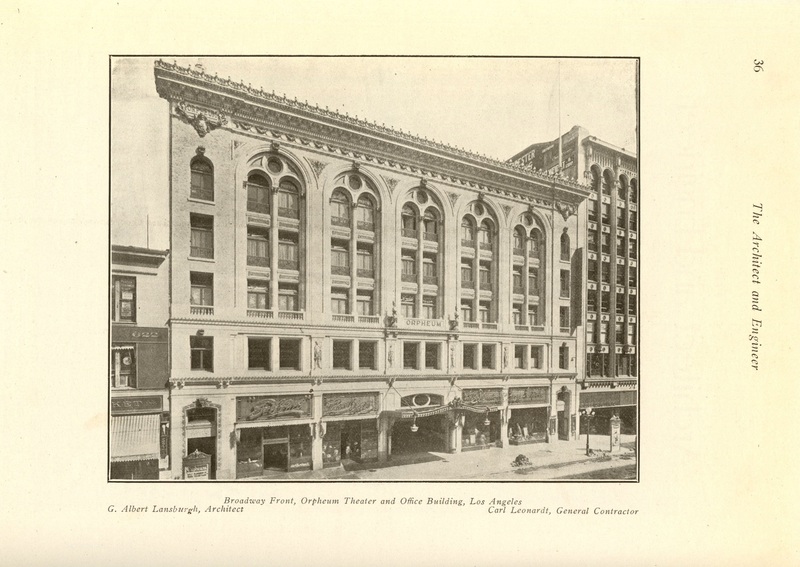 Young & Sons, architects.” That’s a mistake because G. Albert Lansburgh is the architect of record on the building. 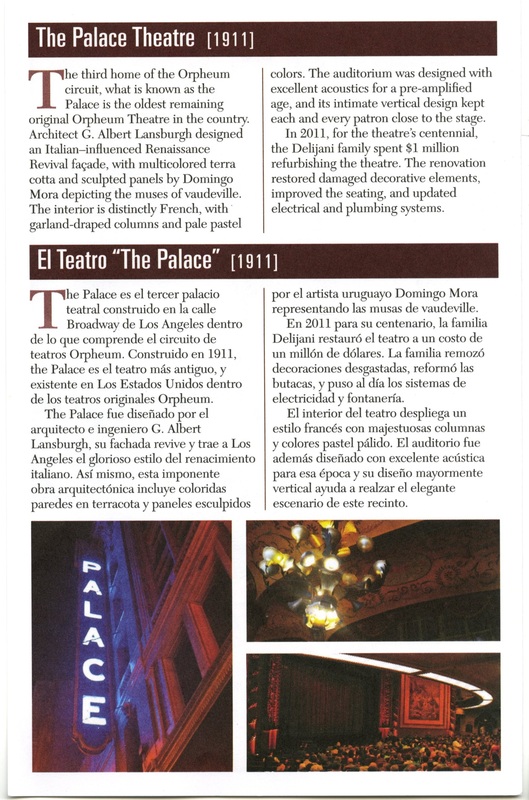 Either Lansburgh replaced Young & Sons after the article was published or Young & Sons were the supervising “day to day” architects on the job. 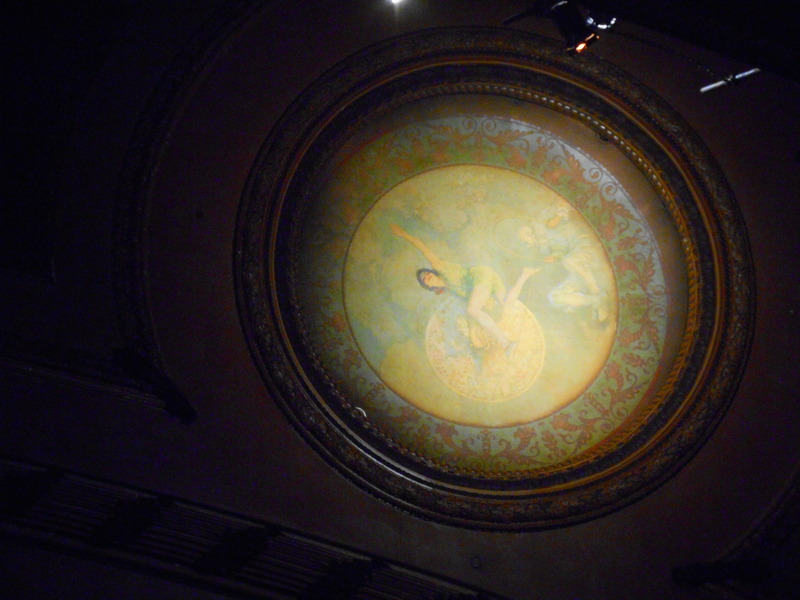 Lansburgh was based in San Francisco so it’s possible. 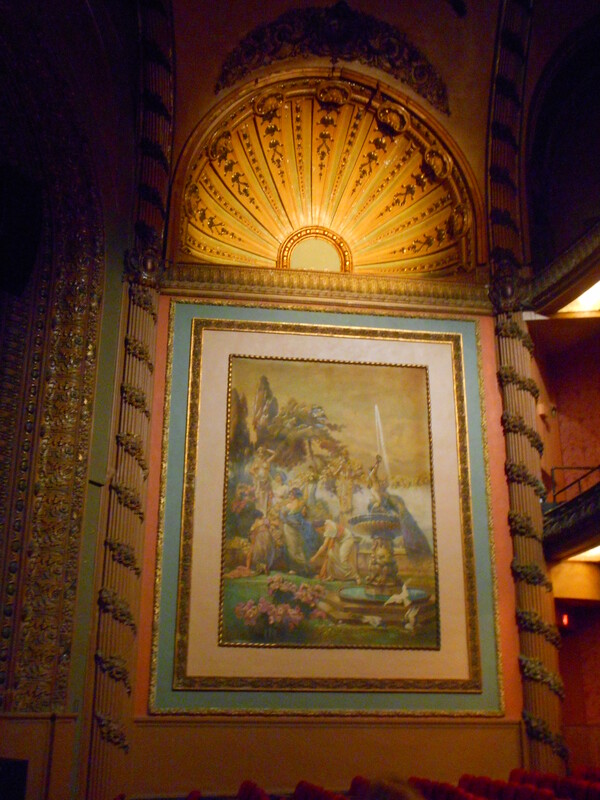 The theater would have 1,956 seats and the article stressed there would be an “unusual number of safe and comfortable exits…” This Orpheum Theater was built seven years after the Iroquois Theater fire in Chicago, which claimed hundreds of lives, so being able to quickly exit a theater was an important feature to mention and herald to the public. 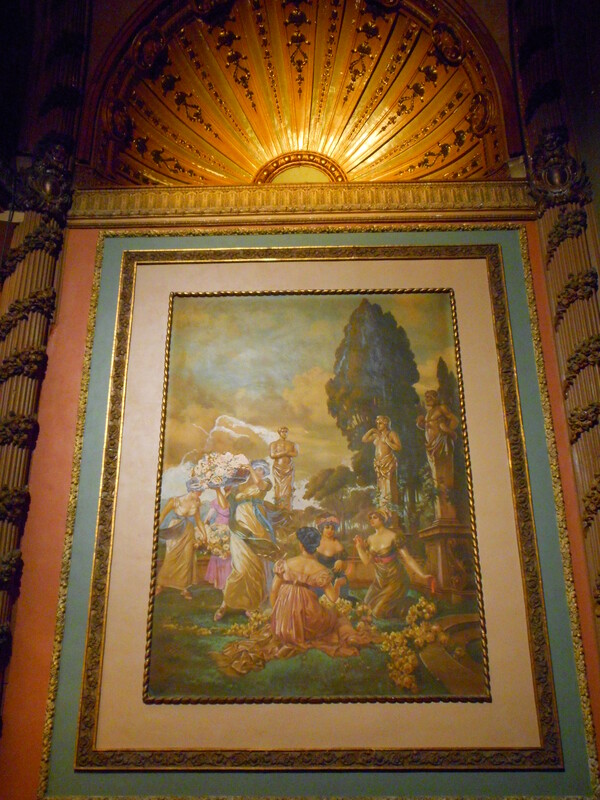 When this theater was completed it would be the thirty-sixth theater the Orpheum organization owned. It sounds like the Orpheum organization owned the theater but leased the space from the owners of the building that surrounded the theater. My question regarding R. B. Young & Sons was answered in a Times article from August 6, 1910. 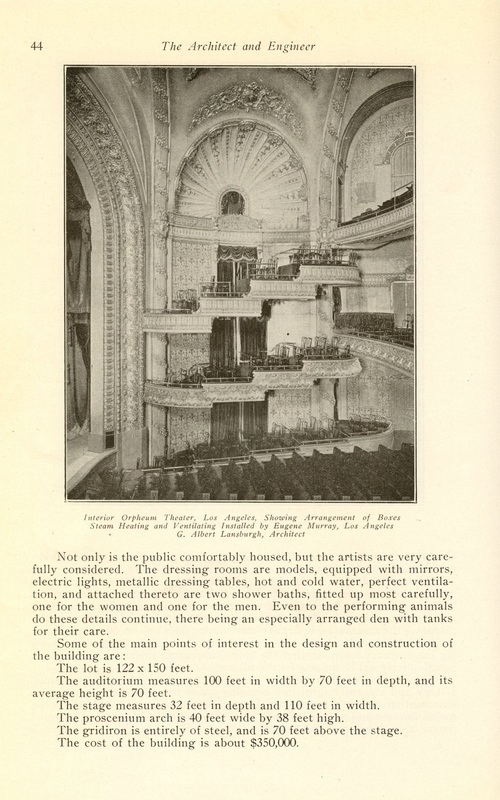 The first paragraph of that article which was titled, Orpheum Contracts said, “Contracts were signed yesterday for the interior design and decoration of the new Orpheum Theater building on South Broadway, now under construction. 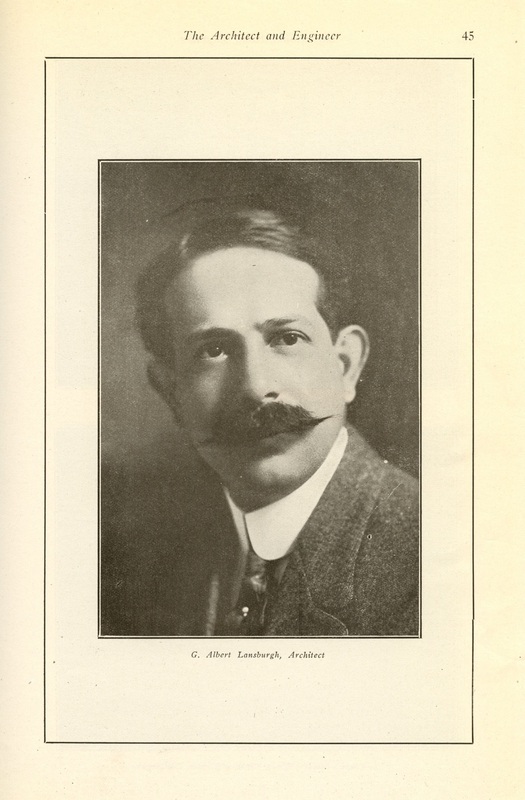 G. Albert Lansburgh, San Francisco architect of the structure was here, and made the arrangements, together with R. B. 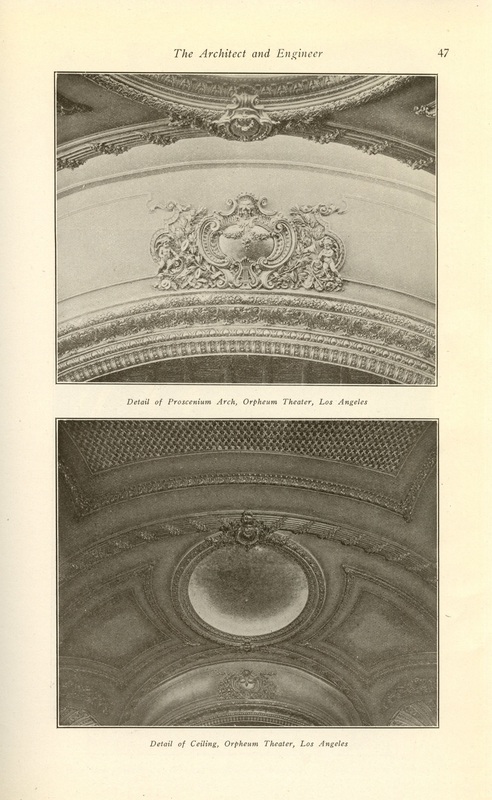 Young, the local supervising architect.” The firm that received the contract for interior design and decoration of the auditorium was Mitchell & Halback of Chicago. They beat out a local bid from a company called McKay & Co.
At this point two-thirds of the steel frame had been erected and riveting was to begin the following week. 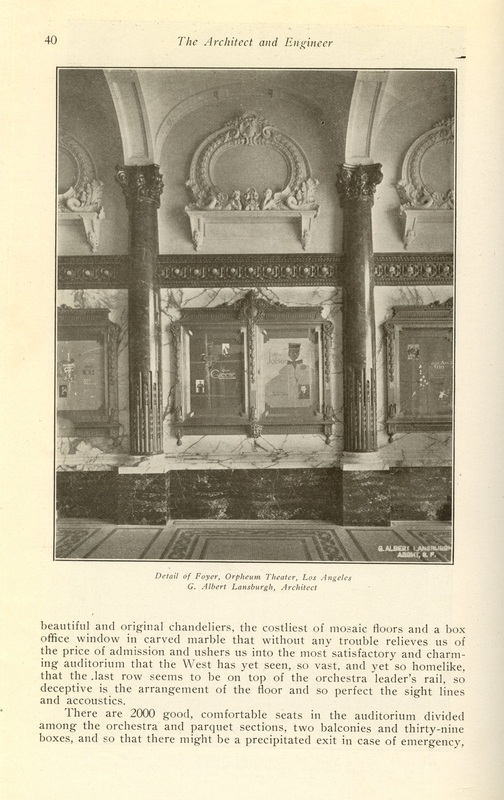 Once again it was noted that the Orpheum would have features not found in any other theater. Three in particular were mentioned: 1) “showers for performers” 2) “a special animal room with tub and showers” and 3) “a thermostaic heating plant” which would cool “as well as maintain the air – which will be washed and filtered at an even temperature all the time though constantly changing it.” It sounds like a thermostat connected to a furnace with a ventilation system. 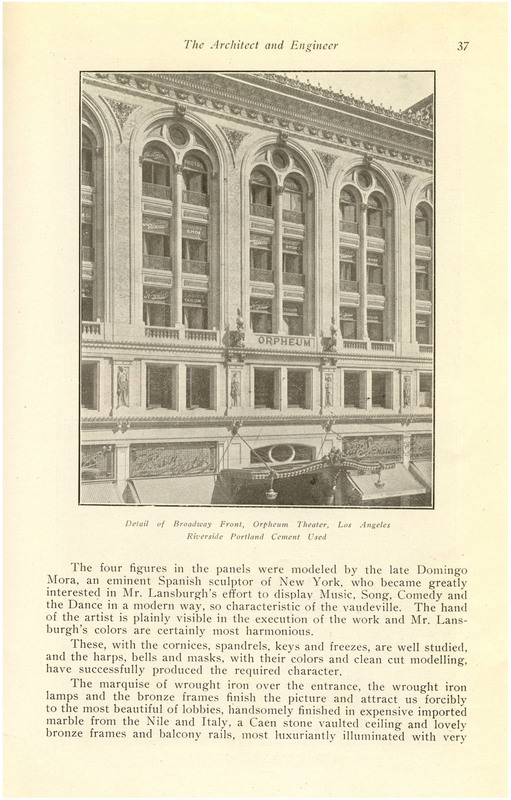 In February of 1911, an article appeared in the Times with the headline, How About the Old Orpheum? 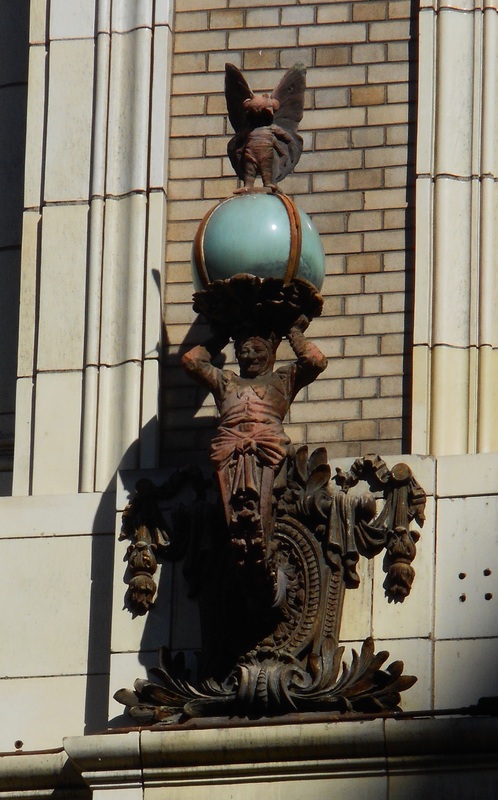 Speculation regarding the fate of the Orpheum on Spring Street was being bandied about by various individuals around the city. 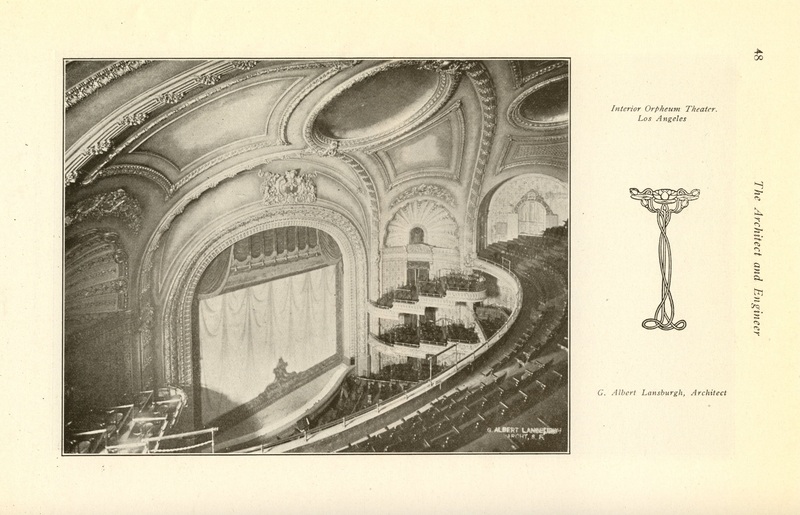 No one was sure what would happen to the old Orpheum but a New York paper “which has some inside ways of obtaining considerable theatrical information” reported that Oliver Morosco was going to take over the building and use it for Shubert “dollar shows.” When confronted with the scenario Morosco feigned surprise and wouldn’t confirm or deny the report. 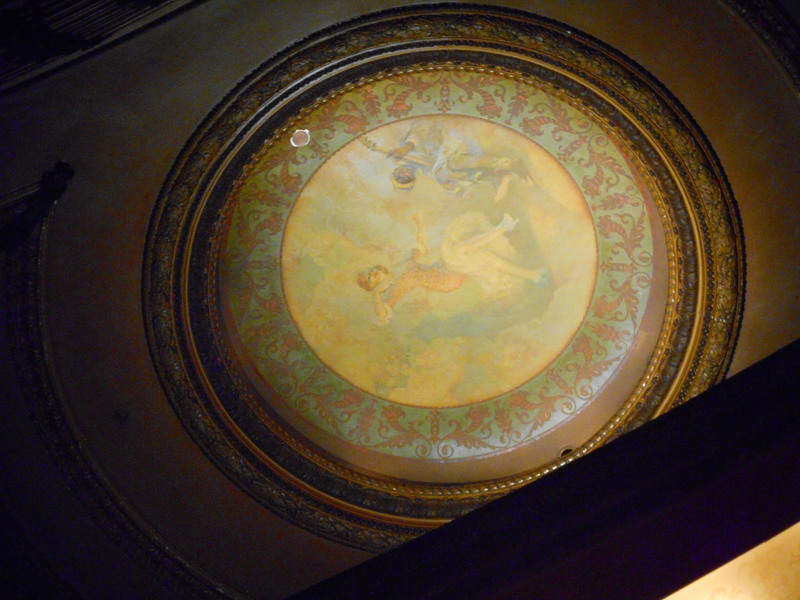 On June 11, 1911, it was announced that the Orpheum’s opening would occur on a Monday evening, on June 26th. The date was decided upon by resident manager Clarence Drown and Lansburgh. They made their decision so, “that every detail of the fine building shall have been completed. 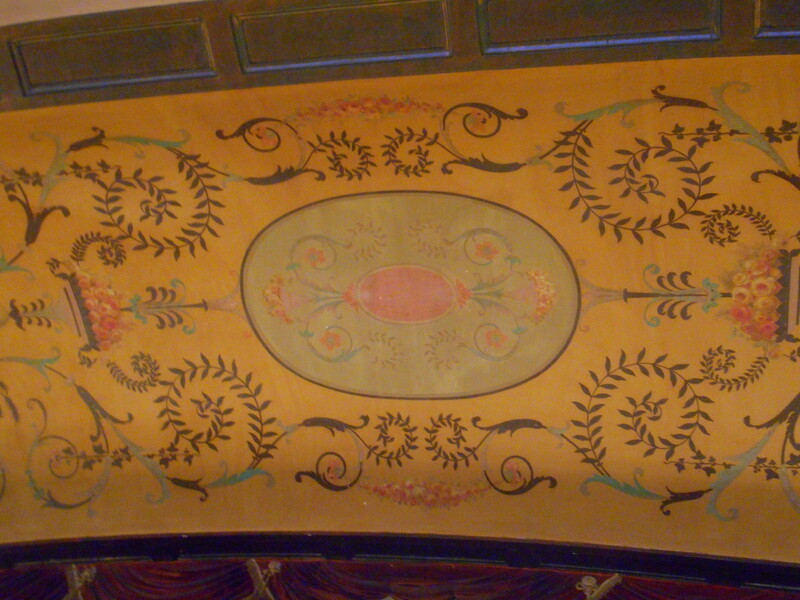 There will be no smell of wet paint or varnish, no unfasted seats or incomplete stage.” According to the article the seats and drapery would be installed the next day. 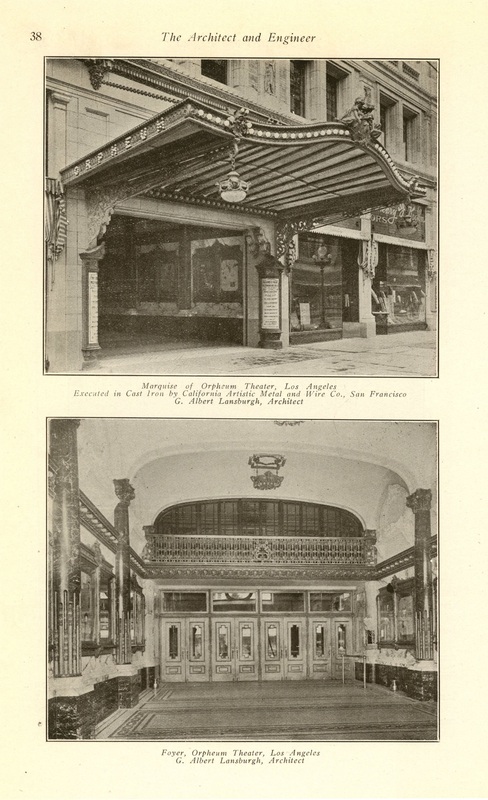 At the Orpheum on Spring Street an auction was held for the Associated Charities on June 14, 1911. 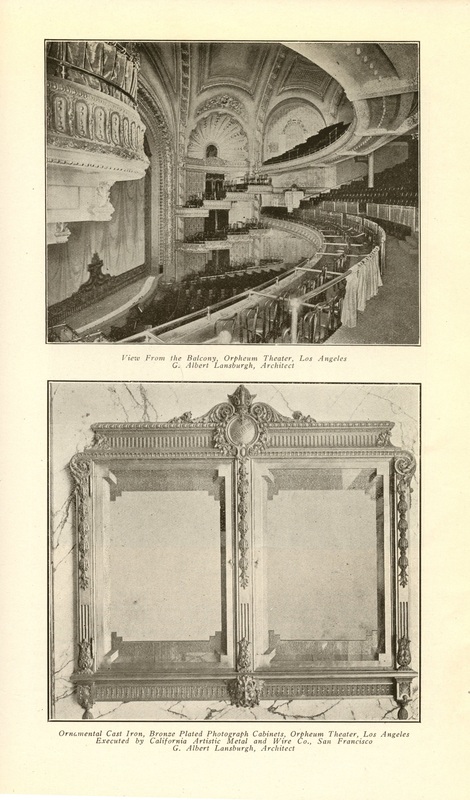 What was being auctioned were the parquet, box and loge seats for the opening night of the new Orpheum Theater. Admission to the auction was by invitation only and began at 10 am. The proceedings had to be finished by noon so the venue could be readied for an afternoon performance. 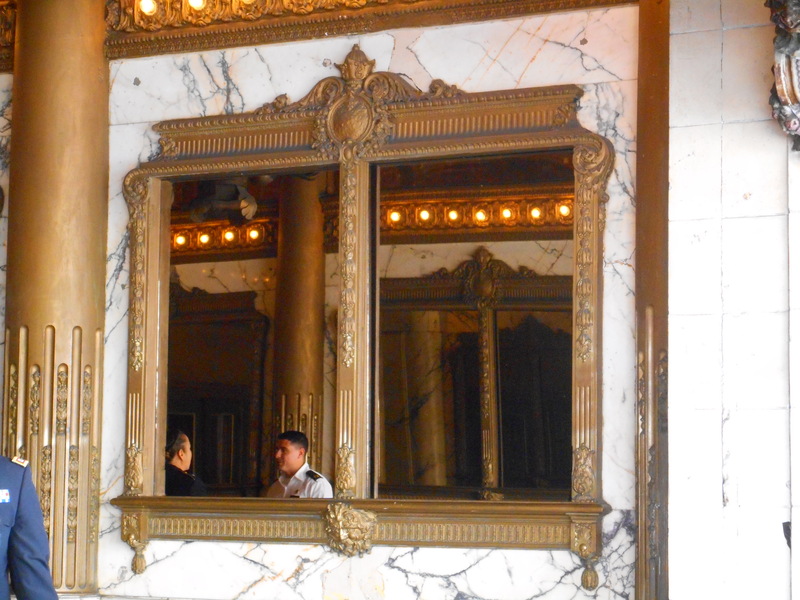 The way the auction would work is if an individual paid $4 for a seat that would normally cost $1 the Orpheum Theater would receive the $1 fee that they normally charge for the seat and the Associated Charites would receive the other $3. 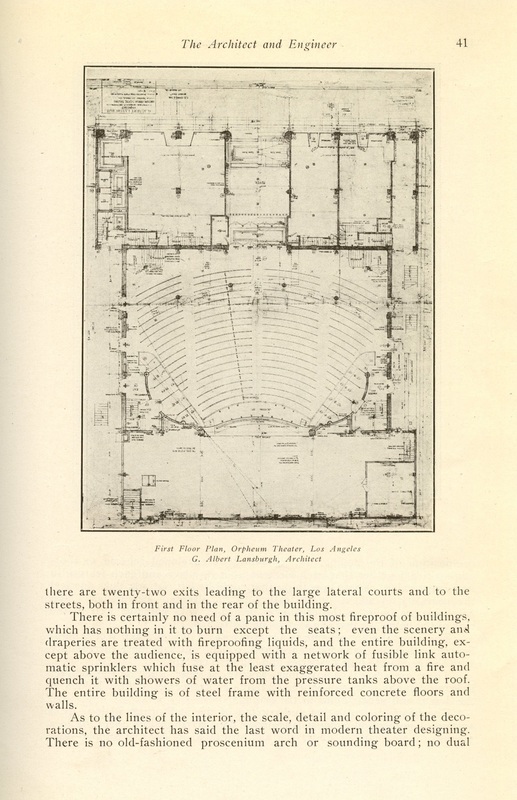 A large diagram of the theater was placed on the stage so everyone would know what was being bid upon. Once a seat or box was sold it was crossed off the diagram. The seats had to be paid for at the time the bidder won. Eddie Nagel and R. M. Kemp were the auctioneers and “young society debutantes and matrons” were the ushers and they collected bids (money) from patrons sitting in the auditorium. According to reports the following day approximately 300 attended the event. “The sale was a great success,” related the Times, “and fancy prices were eagerly paid. 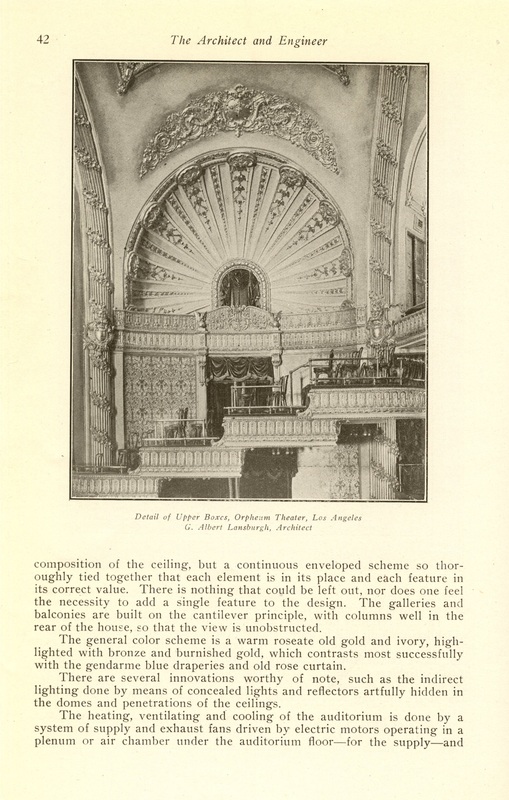 There were many among the elegantly dressed ladies and smiling business men who felt a pang of regret at the passing of the time honored old Orpheum.” Some of the notable prices paid were by L. J. Christopher who paid $120 for the choicest box in the theater. R. B. Young & Sons bought a box for $105. I.F. Ihmsen bought a box for $150, paid for it, and then immediately turned it back to the auctioneer so it could be resold. At the end of the auction the Times and Examiner newspapers oversaw a luncheon at the Alexandria Hotel for the matrons and debutantes who served as ushers. 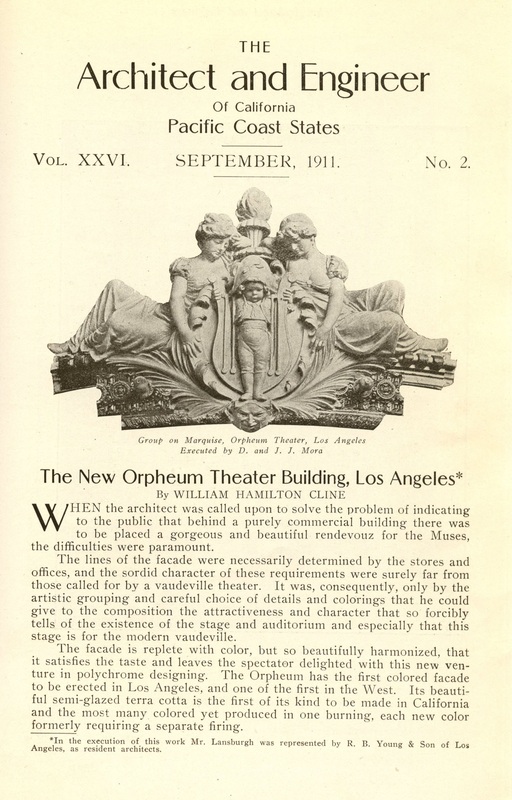 The Orpheum finally opened on June 26, 1911, and regarding the opening bill I was mistaken. For some reason I thought there would be a film presentation but it was all vaudeville. No opening night speeches were given on behalf of the new house instead the show simply began at 8:40 p.m. when English comedian Hal Forde stumbled out of the wings and sang a song called “Mr. Henpeck.” Forde not only sang songs but he also did stunts and impersonations. He was followed by “The Little Stranger” sketch which starred Joseph Hart and revolved around two race track men and how one takes a little stranger into his destitute home. She was followed by a William H. Macart & Ethlynne Bradford sketch called “A Legitimate Hold-up” that was part comedy and part drama. Ed Wynn and P. O’Mally Jennings did some sort of act surrounding the word “daffydils.” It wasn’t clear to me what they did exactly. The review said they “exploited a line of daffydils of their own manufacture or cunning.” The final act was Bowers, Walters and Crooker who did a rural comedy sketch. The man who reviewed the opening night, Julian Johnson, stated that Bowers, Walters and Crooker “concluded the program which was followed, as usual, by the “daylight pictures.” I wasn’t sure what daylight pictures were. The publication Montography refers to “daylight pictures” occasionally in its text so, maybe, short films were shown at the end of the program? Those in attendance that night were included in a long list at the end of the review. Most were unknown to me but some stood out including: L. J. Christopher, Harry Chandler, R. B. Young, Mr. & Mrs. Oliver Morosco, Mr. & Mrs. Walter P. Story and Mr. & Mrs. Marco Hellman. See, his name really was Frankenstein. While Variety said he was let go. 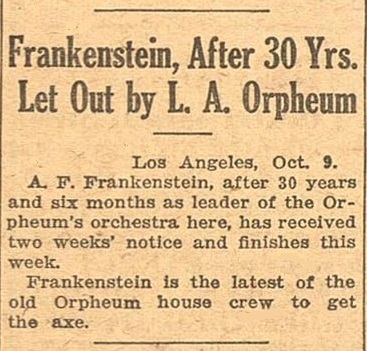 In a Times article dated October 11, 1928, it states that Frankenstein tendered his resignation several days ago. He worked for the Orpheum orchestra for “thirty years, six months and twenty-two days.” The first violinist, Edward Sullivan, would be promoted to conductor. “A long rest” was the only activity Frankenstein had planned for the immediate future. I like the curtains on the railings. Cline, W. H. (1911, September). 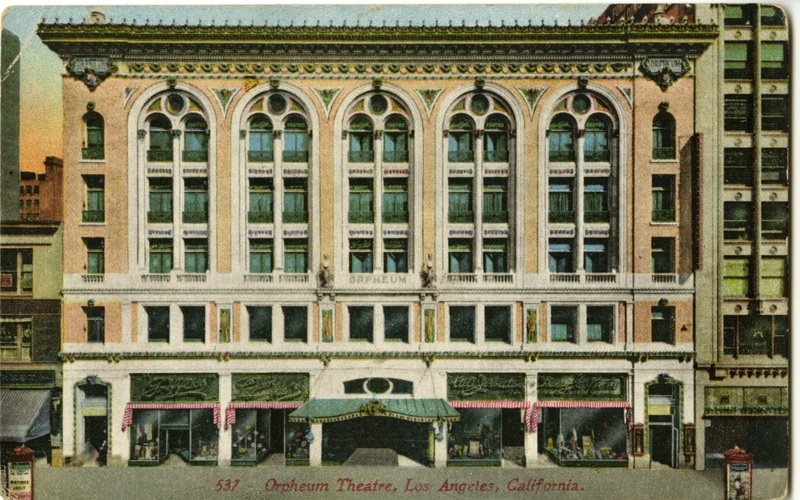 The new Orpheum theater building, Los Angeles. Architect and Engineer, 26(2), 34-50. Daylight pictures. (1911, October). Montography, 6(4), p. 198. Events in local society. (1911, June 15). Los Angeles Times, p. II6. Frankenstein, after 30 years let out by L.A. Orpheum. (1928, October 10). Variety, p. 29. 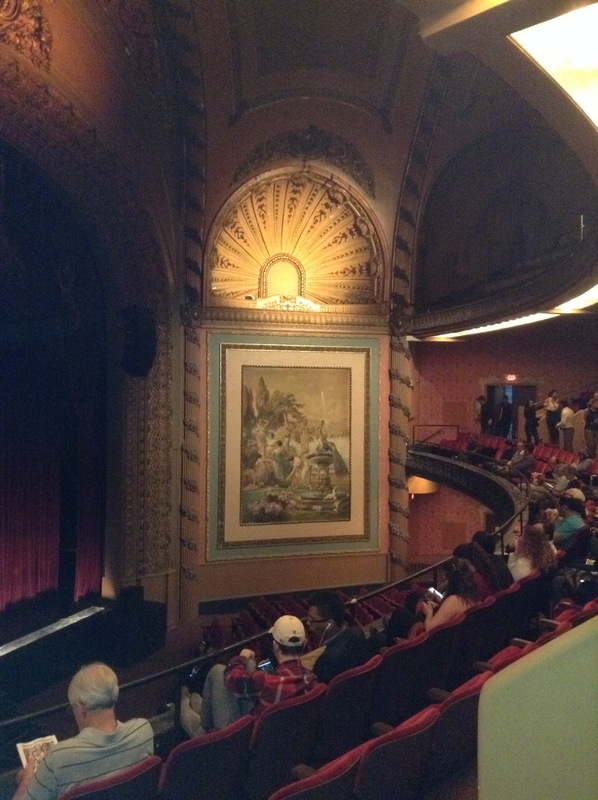 How about the old Orpheum? (1911, February 2). 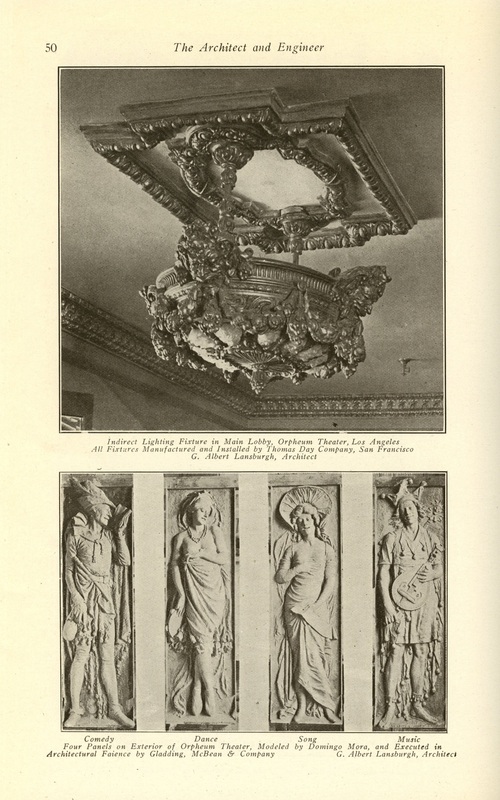 Los Angeles Times, p. II5. Johnson, J. (1911, June 27). 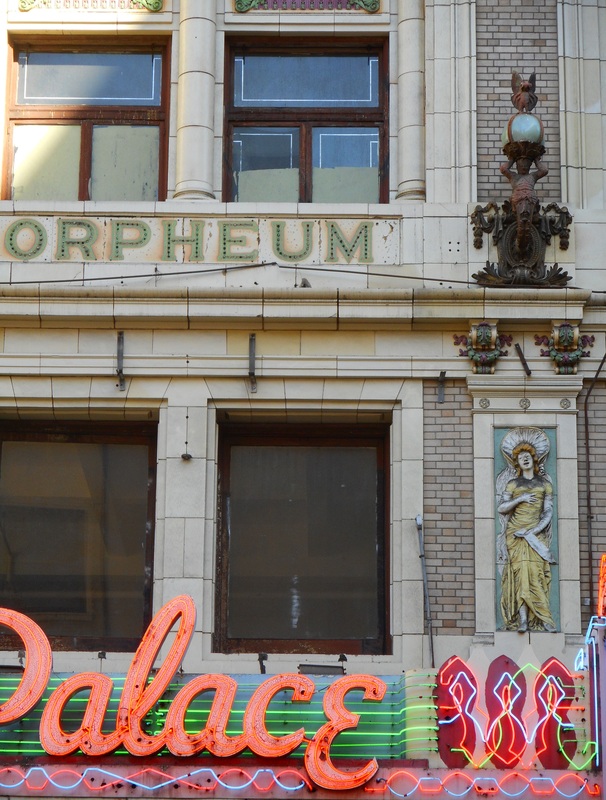 New Orpheum’s bright birth in sudden blaze of tungsten glory. Los Angeles Times, p. I2. Music and stage. (1911, May 20). Los Angeles Times, p. II5. New Orpheum opening date. (1911, June 11). Los Angeles Times, p. II8. Nineteen bid, who’s twenty? (1911, June 14). Los Angeles Times, p. I7. Orpheum contracts. (1910, August 6). 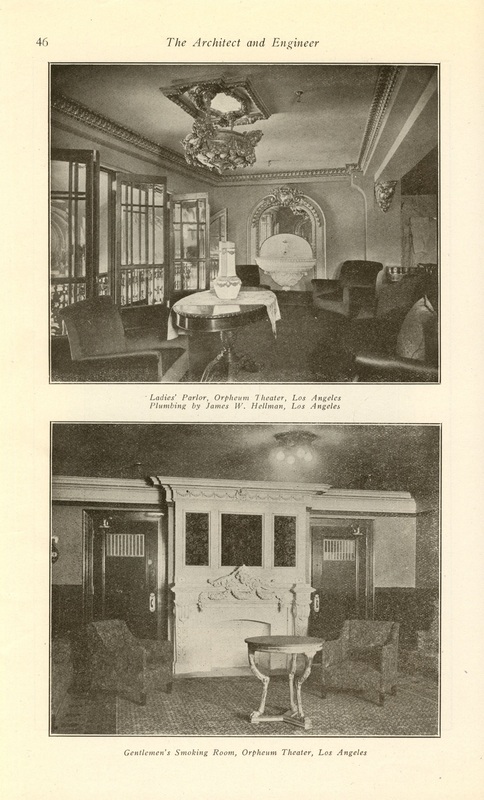 Los Angeles Times, p. II5. 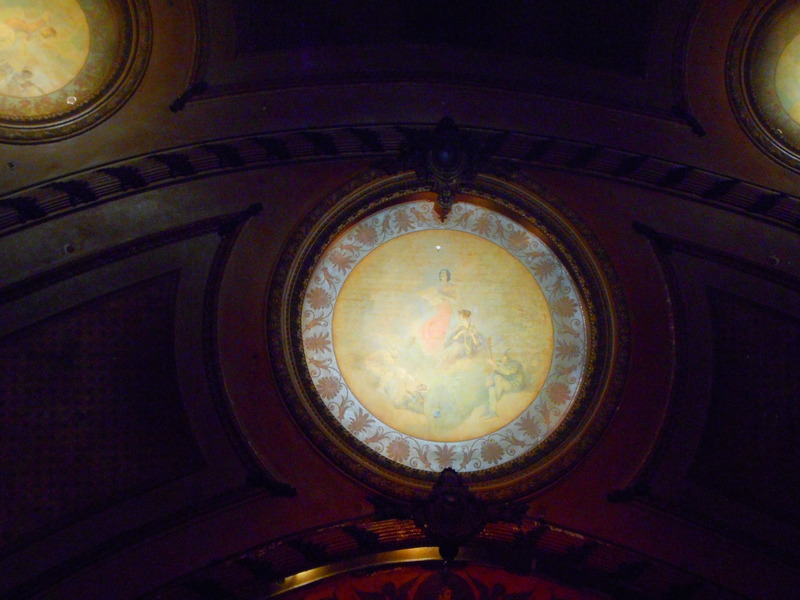 Some wonders at new Orpheum. (1911, June 14). Los Angeles Times, p. II3. To begin new Orpheum soon. (1910, January 2). Los Angeles Times, p. V1. Veteran of orchestra pit to quit. (1928, October 11). Los Angeles Times, p. A10.